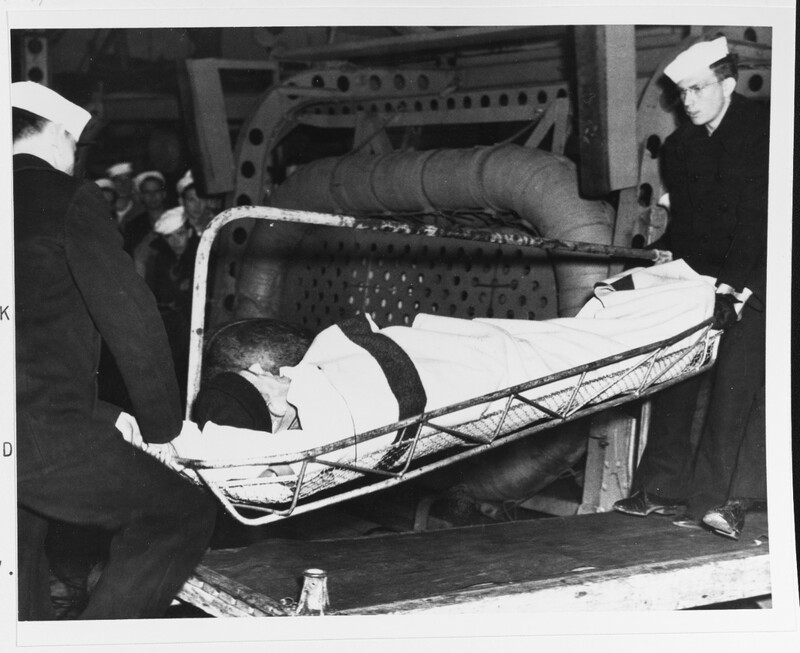 Survivor is brought ashore from USS Broome (DD-210) at Naval Operating Base, Norfolk, Virginia, on 20 April 1942. Alcoa Guide had been sunk by gunfire of the German submarine U-123 on 16 April. Broome rescued 27 of her survivors on 19 April. The last survivor of the ship was not picked up until 18 May. Six of Alcoa Guide’s crew lost their lives as a result of this attack. Official U.S. Navy Photograph, now in the collections of the National Archives.